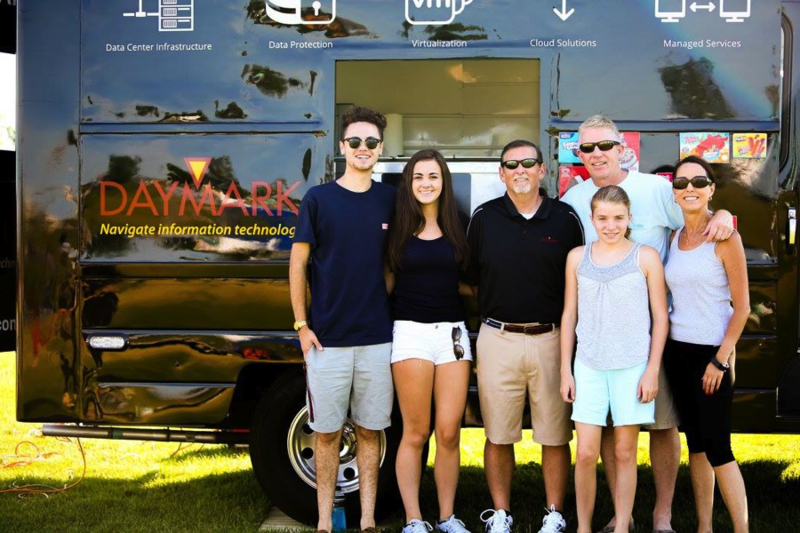 Lexington, MA, July 29, 2016 – Daymark Solutions, a leading provider of information technology solutions, was proud to support this year’s Franciscan Children’s 8th Annual Walk/5K/10K. The July 16th road race took place at Millennium Park in West Roxbury, MA and had over 500 walkers/runners participate. The event surpassed the fundraiser’s financial goal by nearly 20%, raising over $107,000 for the programs and services provided by Franciscan Children’s. Daymark helped out by bringing the Daymark ice cream truck on site, providing free ice cream treats to all attendees and volunteers. With temperatures soaring into the 90s, it was a popular and appreciated destination! Franciscan Children’s brings an unparalleled level of expertise to children with complex medical, mental health and educational needs so they can receive specialized care in a compassionate and positive environment. They have an unwavering commitment to excellence, ensuring that every child has the opportunity to reach their fullest potential and live their best life. Proceeds from fundraisers like this go directly to providing specialized services for the thousands of children and families we serve each year.